The more the official Whatsapp version adds new features to its app, that's the more Gbwhatsapp developer adds their own crazy features too. We all know how cool and interesting Gbwhatsapp is compared to the official Whatsapp version. Gbwhatsapp has grown so big and even getting more popular than the official version because of its crazy but yet interesting features and there's still more updates coming from the developer. 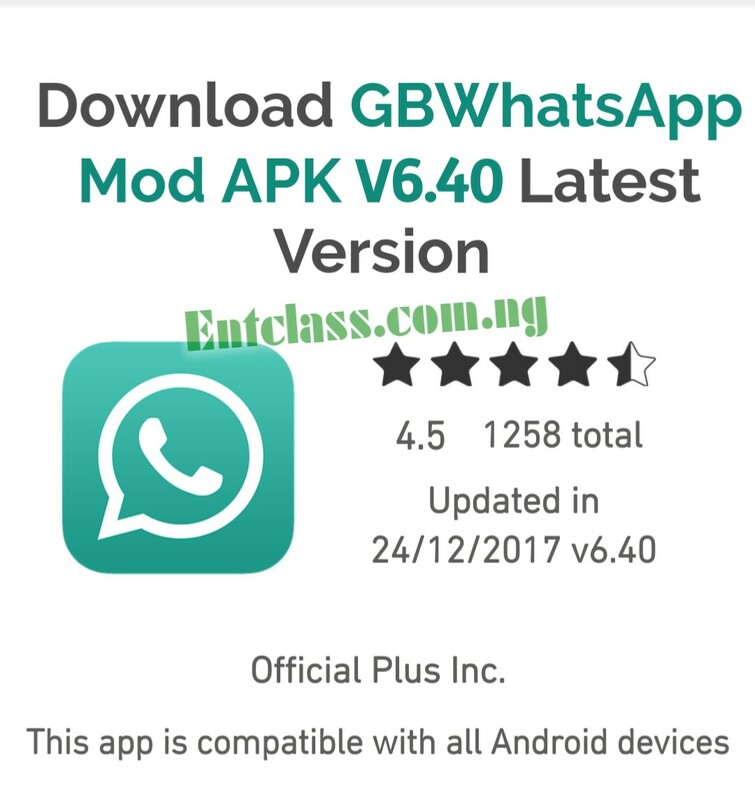 Where To Download Latest GBWhatsapp v6.40 APK? You can install GBWhatsapp on your Android phone without losing chats. You can use GBWhatsapp at the same time with the official Whatsapp version on same phone. It's very easy. Kindly follow me along. 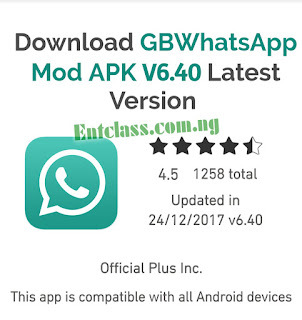 Step 1 : Download GBWhatsApp apk on your android smartphone or tablet from the above link. Note : If you want to use GBWhatsApp, or move from official WhatsApp version or WhatsApp Plus to GBWhatsapp, and want to keep chats, then go to Settings in your WhatsApp — Chats — Backup. Then go to file manager in your android device and rename WhatsApp folder name to GBWhatsApp (case sensitive). Step 3 : Now, install GBWhatsApp on your Android device, which you previously downloaded from the above link. Step 4 : Open GBWhatsApp and click AGREE AND CONTINUE. If you see a message like "Allow WhatsApp to access Message" click on allow for all message. Step 5 : Enter your mobile number and verify your number in GBWhatsApp. This step may take a few minutes, wait a little bit for it to deliver verification code to your phone. Step 6 : If you have backup Press Restore Lastet Backup. Wait a little to complete restore. Step 7 : Enter your name and choose profile picture. That's all. Simple as that. If you encountered any problem while installing GBWhatsapp on your Android, kindly comment below and I'll reply almost immediately. The link is working. Try again.